It’s interesting to think about the brand names of automobiles that the world currently has. Chevrolet would be a very foreign word if it wasn’t for General Motors. Peugeot would be unpronounceable by an even wider audience if it hadn’t made it. Imagine if Vinot et Deguingand had succeeded. It’s sort of a mouthful. The company was founded in 1898 as a bicycle manufacturer by Lucien-Marie Vinot-Préfontaine and Albert Deguingand. They turned to automobiles in 1901. The company actually acquired Gladiator in 1906, but Vinot went out of business in 1926. Deguingand formed a company without the Vinot prefix the following year and it lasted until 1930. The Vinot 12/14HP was new for 1912 and it used a 1.7-liter straight-four, the smallest engine offered by the firm in 1914. The beautiful touring body was done by the Olympia Carriage Works – one of only two cars bodied by that coachbuilder. It has known ownership from new and has never been completely restored – just refurbished as needed. It could very well be the best example of the marque extant. It seems like a bargain, being listed in the catalog for between $42,000-$48,000. Click here for more info and here for more from this sale. 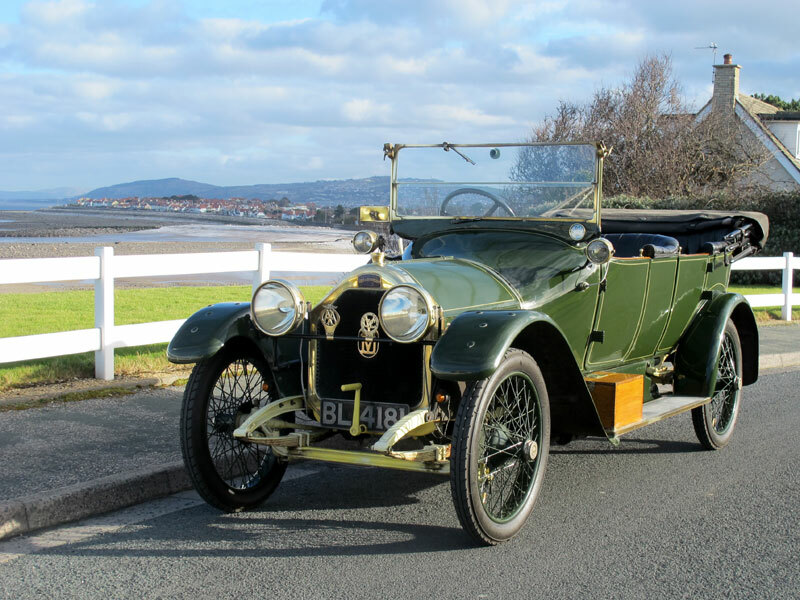 This entry was posted in Uncategorized and tagged 1914, am4, cars, classic cars, h&h auctions, tourer, vinot et deguingand by classiccarweekly. Bookmark the permalink.